Despite a struggling marketplace, a new broadcasting venture is set to take to the air in Ireland. 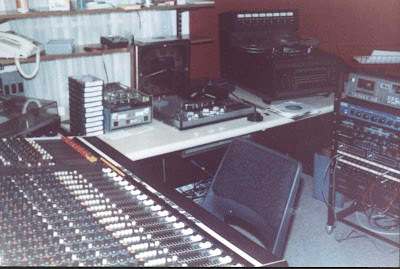 RADIO NOVA was a pirate radio phenomenon in Dublin in the early 1980s; from September, a new entity with the same name will return to the airwaves. This time the station is licensed and, while it’s a smart move by the promoters to cash in on the goodwill associated with the name, some Radio Nova originals are not impressed. The driving force behind the pirate Radio Nova was Chris Cary, who died in 2008. The name for the then station and the first jingles were supplied by Belgian radioman AJ Beirens, who was running Radio Nova in Ventimiglia in Italy. At the time he was also involved with the Radio Paradijs vessel, which was being equiped in the port of Dublin. Chris Cary cut his pirate teeth with the legendary Radio Caroline in the 1960s before turning up on Ireland’s shores with Robbie Robinson. They set up Sunshine Radio in 1980 and, a year later, Cary launched Radio Nova, whose broadcasters included Anne Cassin, Bryan Dobson, Dave Harvey, Scott Williams and Gareth O’Callaghan. Another Nova star was Cary’s wife, Sybil Fennell, who now lives in England. “I think it’s in bad taste for them to use the Nova name but legally there is nothing I can do about it,” she says. “But they definitely won’t be able to use any of the old Nova jingles because I own the copyright to them. They can’t use the original logo either because Chris created that too.” In fact, the logo design for the new Radio Nova, which hasn’t been officially unveiled yet, is strikingly similar to Cary’s branding. Unlike the original, the new station will be exclusively spinning classic rock tracks. The target audience is men in their late 30s and early 40s. Radio Nova’s backers include experienced radio investors Dermot Hanrahan and Maurice Cassidy; and Ulick McEvaddy, Des Whelan and Kevin Brannigan, who between them also own 45 per cent of oldies station 4FM. Radio Nova is likely to be the last station launch for some time as the Broadcasting Authority of Ireland (BAI) has indefinitely deferred plans to advertise for new regional country music stations. Industry observers wonder whether there is room for another Dublin radio station in a market where advertising revenues fell by more than 25 per cent last year. The most recent radio stations launched in the capital – 4FM and Phantom – are struggling, with 4FM engaged in discussions with the BAI about a format change.